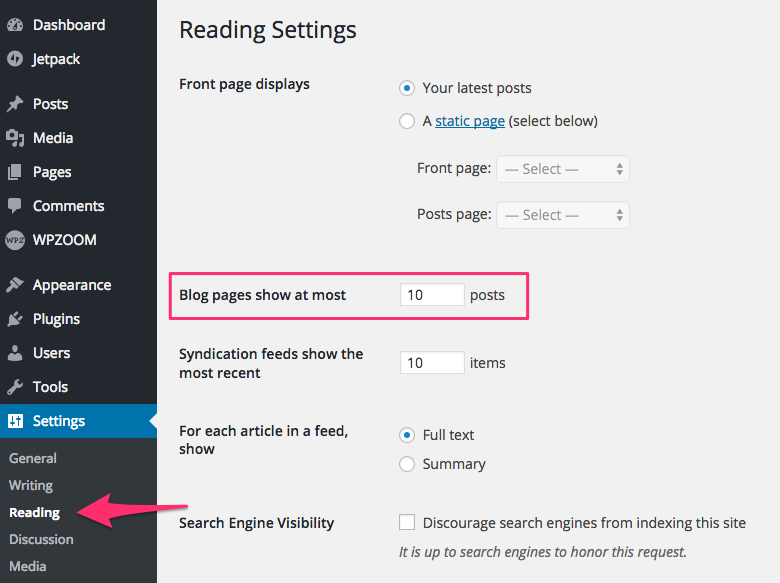 To add a post in the Featured Slideshow, mark the Feature on Homepage option from editing page. Optionally you can display a video in the slider by inserting embed code in the Embed Video field. Don’t insert just the URL of the video, but FULL embed code. 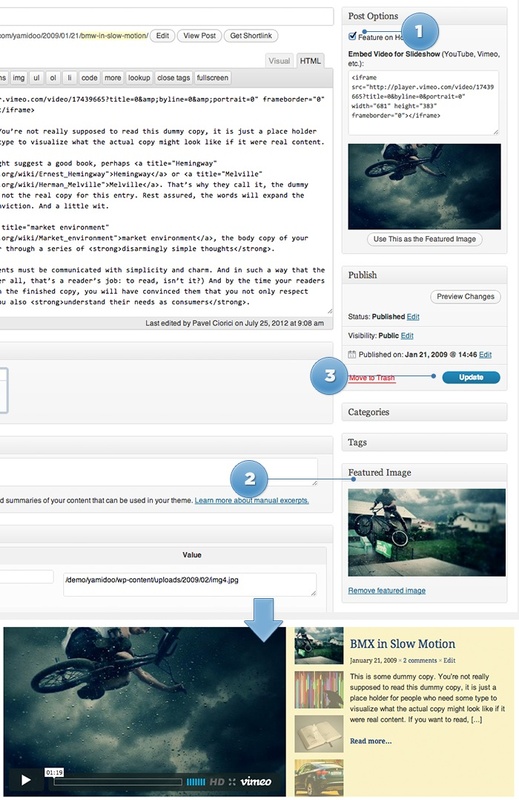 When embedding videos from YouTube or Vimeo, a thumbnail will be generated automatically. You can override it uploading manually a Featured Image. For the rest videos you will also have to upload a Featured Image, which will be displayed on archive pages. It’s recommended to turn off slideshow auto-rotation feature if you have videos in your slider, so you can prevent auto-rotation when a video is being watched. The slider will work properly only when there are at least 2 featured posts. From Theme Options -> Slider Settings you can adjust different options of the slider, like effect, auto-rotation. Automatic Video Thumbnails are generated only for YouTube, Vimeo, and DailyMotion at this time. You must use an HTML embed code, not a link to the video. The video must not be set to “private” or otherwise hidden from public access. The video must have a thumbnail image available via oEmbed. Your server must allow remote file requests and downloading of remote files. Your server must not block the use of oEmbed. You must use the new embed code offered by each video service. Many video services (such as YouTube and Vimeo) have the option to use their “old” embed code. 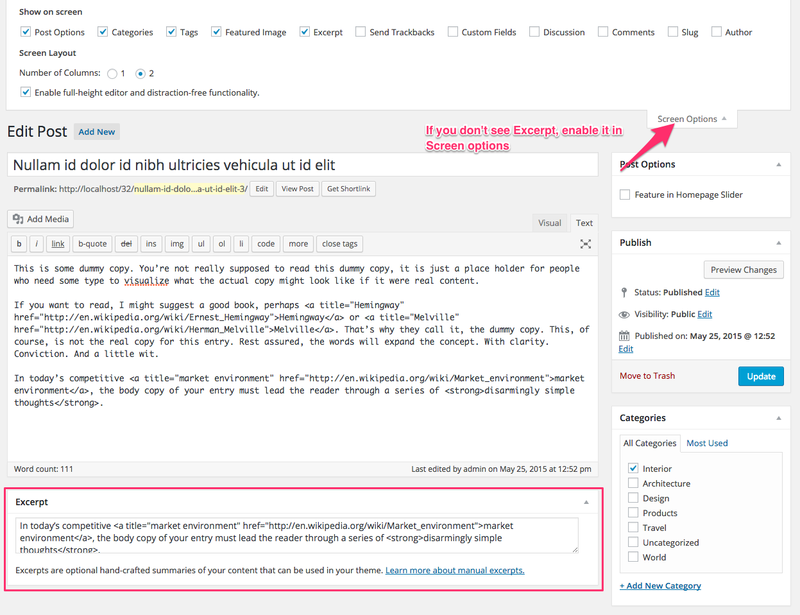 You must only use the new embed code for the auto thumbnail functionality to work. To add widgets in the Sidebar of this theme, you’d need to access Appearance -> Widgets menu, and drag widgets to your Sidebar to activate them. 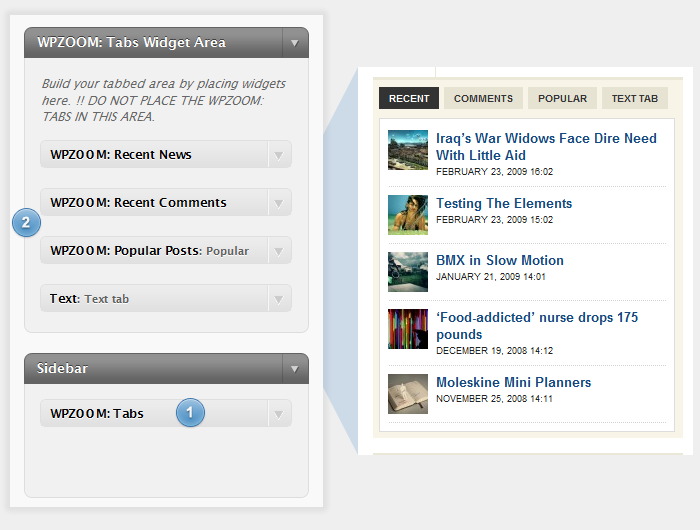 Trough those 5 custom widgets, which this theme has you’ll find one named WPZOOM: Tabs, which is a widget that allows you to create tabbed area from other widgets. In the next screenshot you can see steps you’ll need to follow if you want to have tabbed area similar to that one from theme demo.